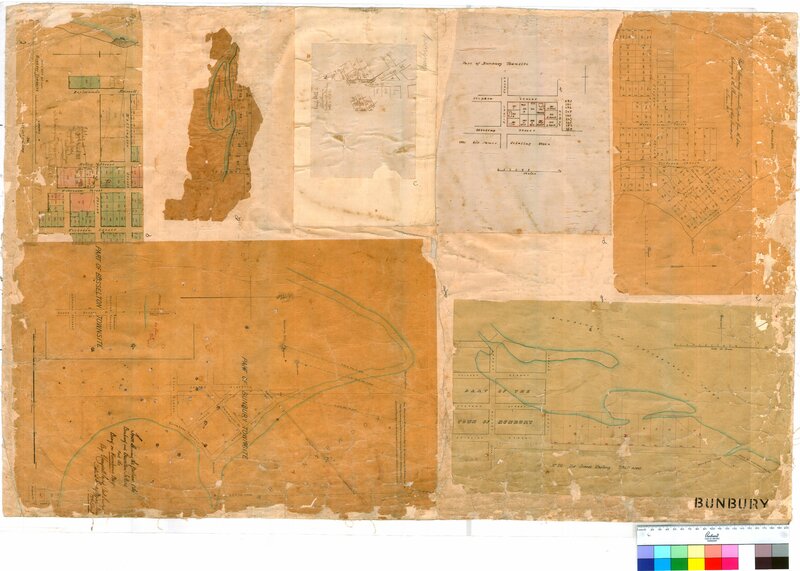 Item13(g) - Part of Bunbury showing land near entrance to Leschenault Inlet. Scale: 3 chains to an inch. Item14(a) - Tracing showing the proposed suburban allotments at Busselton and numbered 4 to 27 by T Campbell Carey, 1865. Scale: 4 chains to an inch. Item 13(d) - Part of Bunbury Townsite showing Stephen, Stirling, Arthur and James Streets (Lots 282 to 293 inclusive). Scale: 3 chains to an inch. Confirm Item Request: Part of Bunbury Townsite showing Stephen, Stirling, Arthur and James Streets (Lots 282 to 293 inclusive). Scale: 3 chains to an inch.